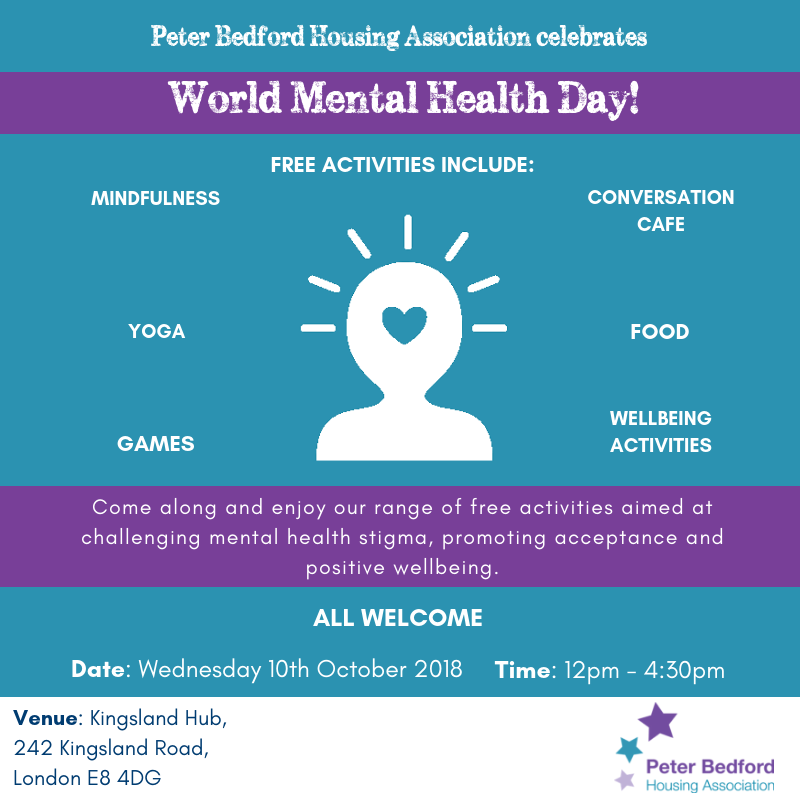 Join us for our World Mental Health Day event. Come along and enjoy our range of free activities aimed at challenging mental health stigma, promoting acceptance and positive wellbeing. The event is open to all. All are welcome.